Whenever your social plans involve alcohol, make arrangements so that you don’t have to drive after drinking. If you’re going to be with a group, designate a non-drinking driver prior to consuming any alcohol. If you’re hosting a party where alcohol will be served, remind your guests to plan ahead and to designate a sober driver. Never serve anyone who is under 21. You can be held liable if a teen leaves your home under the influence and causes property damage or injuries. Be sure to offer alcohol-free beverages, and make sure all of your guests leave with a sober driver. Take personal responsibility – if you have to take someone’s keys, do it. 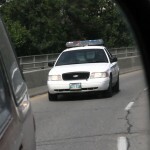 If you don’t, they may be arrested and charged with DWI– or worse. 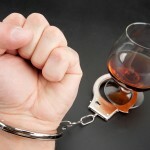 If you or any of your friends or family members are arrested for DWI in southern California, contact an experienced Orange County DUI lawyer as quickly as possible. If you’re going to enjoy a night out or a specific event, a hotel room in walking distance is a splendid option. Southern California has abundant public transportation – buses, taxicabs, and limos as well as car services and ride-sharing services. Many of these services are available 24/7/365. You should know that riding a bicycle is not a good option. Cycling under the influence is quite dangerous, and it’s illegal in California. Anyone and everyone who drinks and drives is risking arrest, accident, injury, or worse. 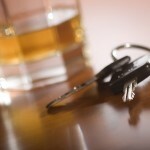 If you are charged with DWI in southern California, immediately obtain defense representation. A good DWI attorney will protect your legal rights, explain how the law impacts your case, and fight aggressively on your behalf for the best possible resolution to your DWI case. If you face a DWI charge in Orange County or elsewhere in southern California, now or in the future, speak right away to an experienced Orange County DUI lawyer.